Elder law is the area of law, statutes, regulations and decisions, which impacts the lives of older Americans. Elder law spans and encompasses elder care planning issues, estate planning, long-term care needs, planning for incapacity and other needs. Connecticut Elder Law Attorney's, add your website to www.connecticutpartnershiponly.com, please send an email for this request. 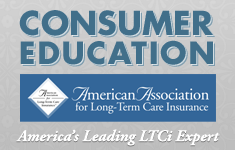 American Association for Long Term Care Insurance the national trade organization committed to helping individuals get the information they need to make educated decisions. For long term care insurance Federal tax deduction limits and credits or deductions for all 50 states click this link and visit the tax deduction for long term care insurance guide. 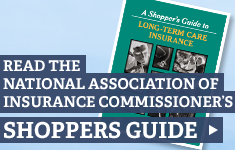 Published and updated annually by the American Association for Long Term Care Insurance, a national trade organization committed to helping individuals get the information they need to make educated decisions. For ratings of leading long term care insurance Fcompanies click this link and visit the long term care insurance ratings. Published and updated annually by AALTCI. www.connecticutpartnershiponly.com - Connecticut LTC Partnership - CT Long Term Care. This is a solicitation of insurance. By filling out this request for quote, you are requesting a licensed insurance agent to contact you by telephone.